Apricots. I love them. But only the right ones. Most dried apricots you find at the supermarket are the insipid Turkish variety; they’re pale and depressingly wishy-washy. California apricots, on the other hand, have serious depth of character; tart, sweet and sassy, they’re a joy to work with. Also absurdly hard to find. 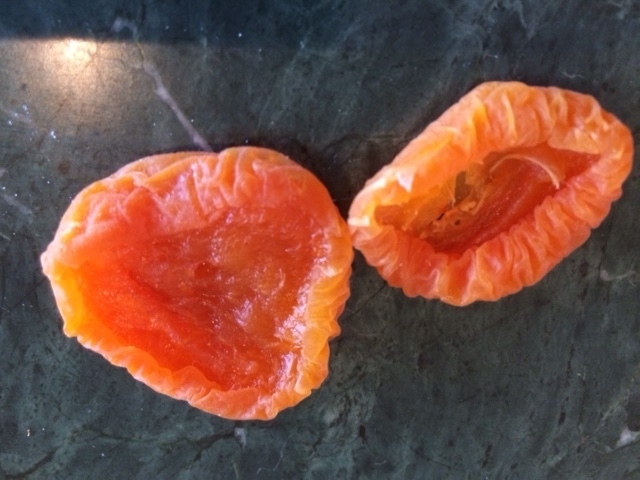 Where I live, in the Hudson Valley, I have yet to find a single source of California dried apricots. So I’ve taken to ordering them online. 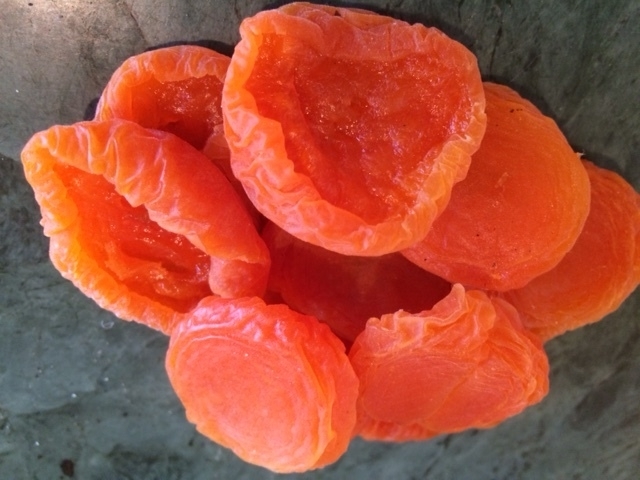 I really love these apricots from Apricot King, and anyone who gave me a bag of them would become an instant hero. The regular apricots are lovely, but the super expensive Extra Fancy variety are deeper in color and deeper in flavor. And hey, it’s Christmas. Extra fancy on the left; regular on the right. I buy from your gift list every year–I totally trust you! Thanks so much for doing this. Thanks for this! I just ordered both apricots, their apricot pepper jam and candied walnuts. Can’t wait for them to arrive. 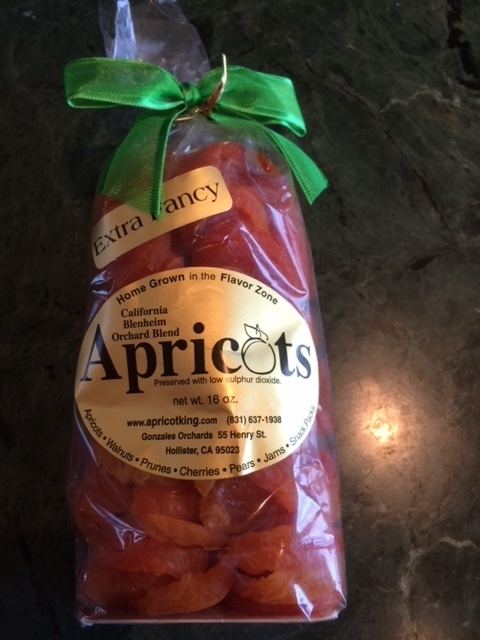 I buy these apricot weekly at our farmers market in Santa Cruz they are awesome .